Tiny house living is a growing trend for people that want the benefit of living in their own home without dealing with a ton of extra space. Living small doesn't have to mean living in a boring box, as you'll see from these surprisingly luxurious homes. 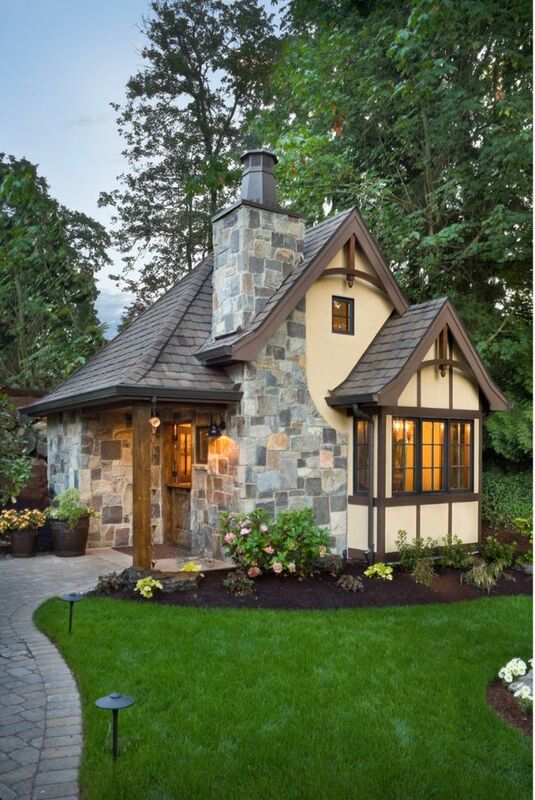 Check out a few of these small house plans, you may just fall in love with living tiny. 1. 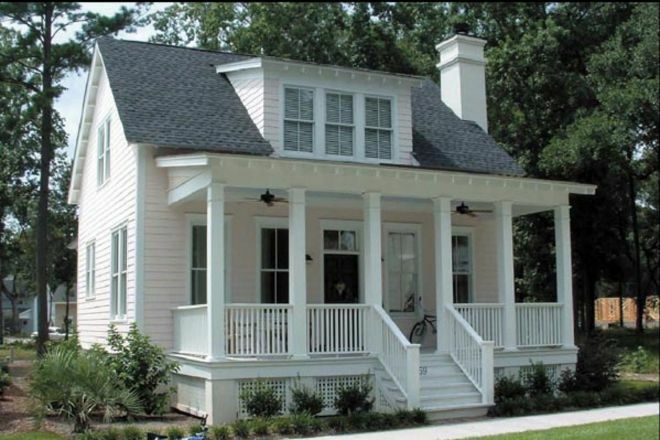 Beautiful cottage by House Plans. From the outside, it' s hard to believe that this house only has 300-square feet. 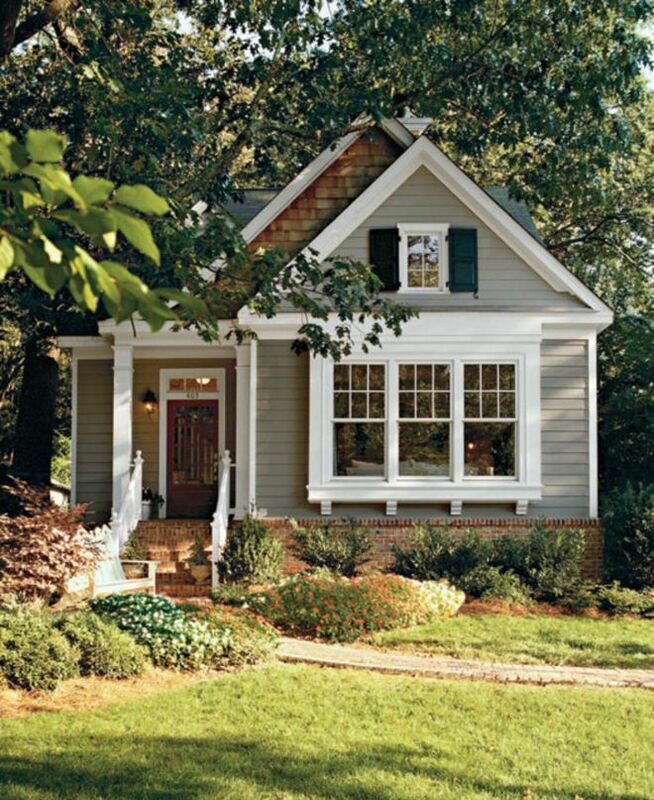 The charming cottage-like exterior offers great curb appeal. 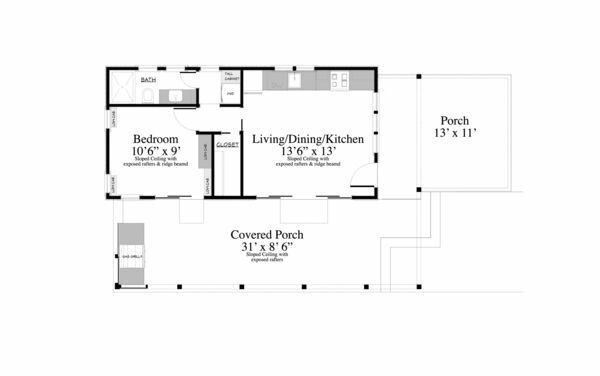 This 1 bedroom, 1-bathroom, single story home includes a large room with a walk-in closet, kitchenette, and porch. If you don't like the layout, you can customize the plan to your specific needs. 2. 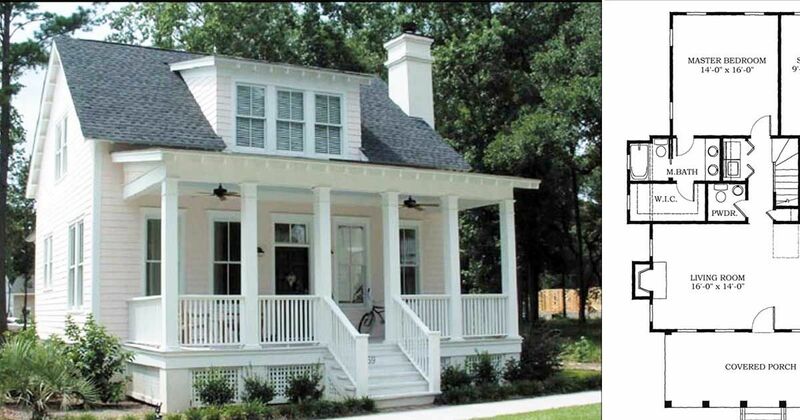 Adorable cottage by Cool House Plans. This small house can fit up to four bedrooms and 3.5 baths. 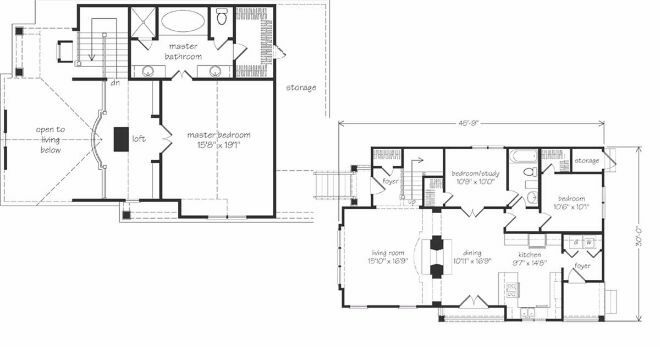 The first floor includes the master bedroom and bath, a half bath and kitchen. Step off the kitchen into the large sun room to enjoy your breakfast. The living and dining room open to a covered porch. The second floor includes your second and third bedrooms, a large sitting area, two bathrooms and space for an optional fourth bedroom. 3. Small cabin by Concept Home. 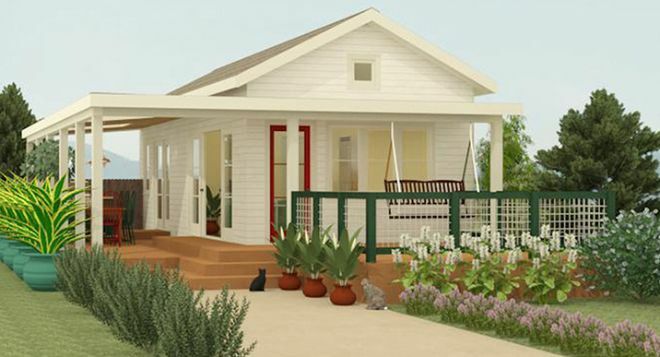 If cabin-living is more your speed, you'll love the layout of this charming one-story home. This modifiable home includes dine-in kitchen and large living room, with a walk out terrace. 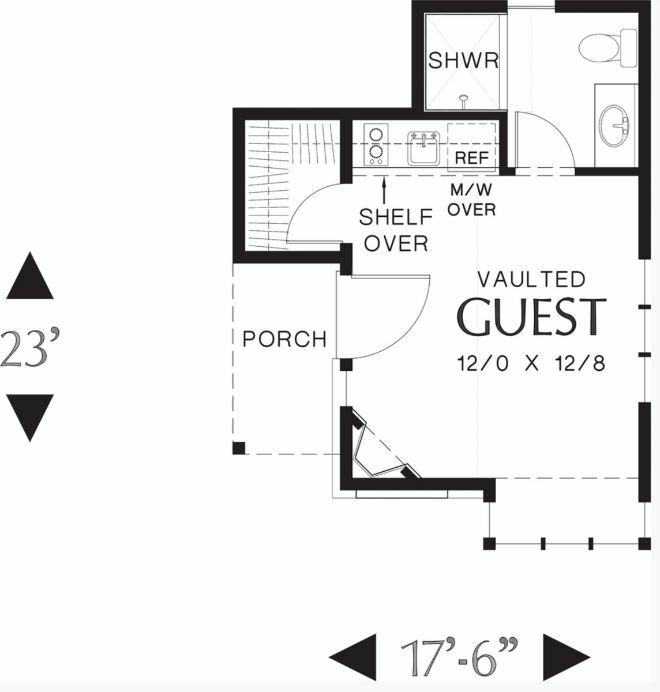 The 3-bedroom, 2-bathroom home also includes walk-in closets and a laundry room. The open-concept living space also includes large windows and a fireplace. Concept Home offers several modifications, including an optional garage. 4. 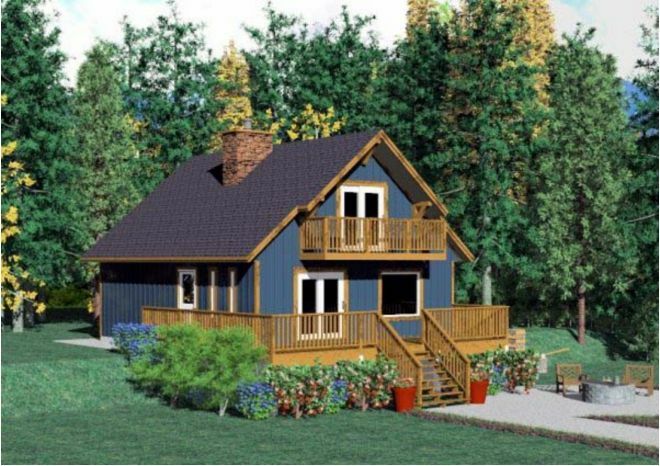 Idyllic cabin by Family Home Plans. Country living at it's finest. This two-story home includes a large, wrap-around sun deck and an attached walk-out balcony. This home manages to feel large, despite being on the smaller side. The main floor includes an open concept living/dining room space, kitchen, bathroom and laundry room. Head upstairs to access the master bedroom and bathroom and plenty of storage space. 5. 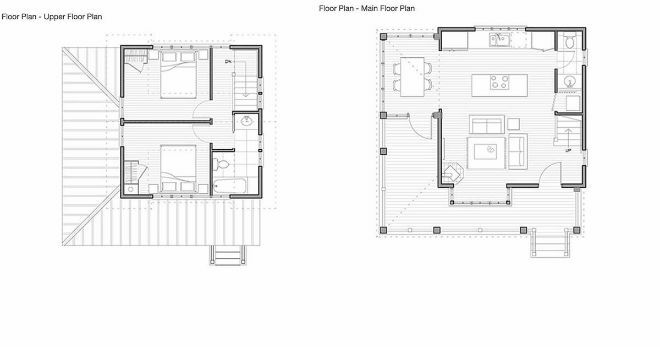 Peter Brachvogel, AIA and Stella Carosso's cottage, by House Plans. 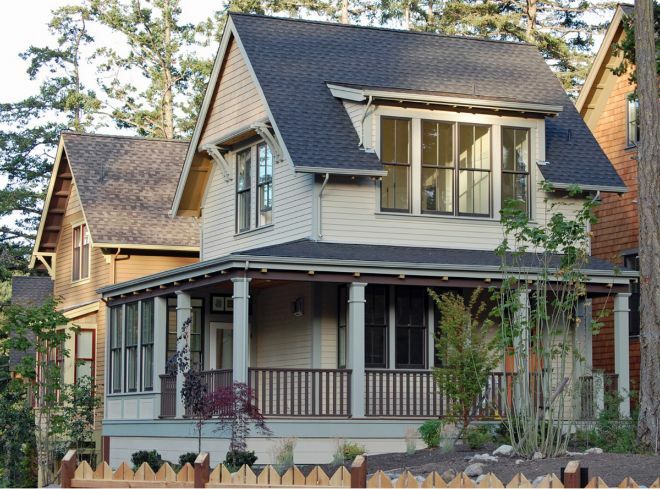 This 950-square foot home packs a punch,with the modern twist on a class-styled home. This two-story home features 2 bedrooms and 1.5 bathrooms. 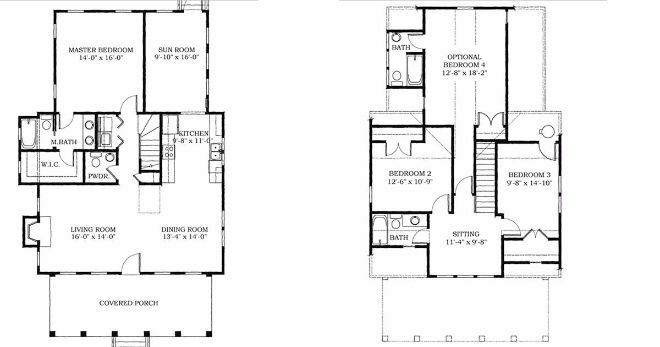 The first floor features a large sitting space that flows into the dining room and kitchen area, and a half bath. Both bedrooms and a full bath are located on the second floor, so you can keep your sleeping areas private when guests come to visit. The covered porch offers a cool spot to sit and chat with neighbors during the warm summer months. 6. Winnona Park by Southern Living. The two-story home offers potential for a third bedroom. The first floor includes a large living room, and open concept dining-kitchen area. 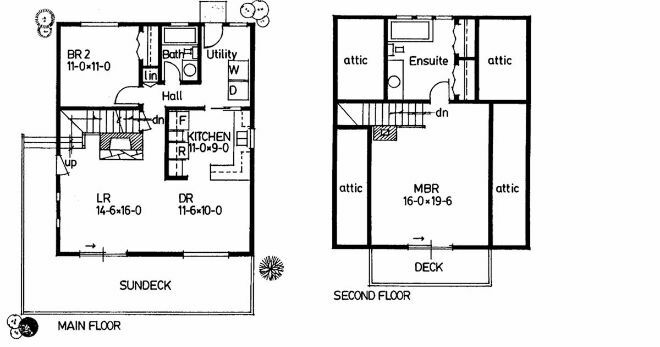 One bedroom, the laundry room, a bathroom and storage space are also located on the main floor. 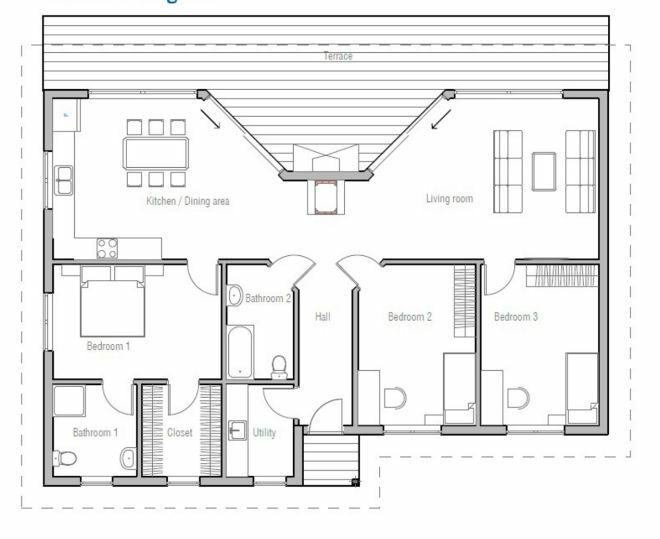 The second floor includes the large master suite with extra storage space. Special features in the home include double doors, a walk-in closet, and a spa tub in the master suite. The best part about this home is that everything is on one level. There's also ample porch space.